Each and every team member of our team is passionate, genuine, dedicated caring individuals. Our treatment style is highly personalized, and our “quality over quantity” philosophy is what we believe is the key to getting clients back to their functional best as quickly and safely as possible. 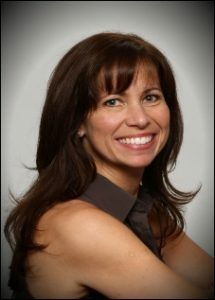 Kerry graduated from the University of Toronto in 1991 with a Bachelor of Science Degree in Physical Therapy. She has more than 25 years experience as a physiotherapist working in acute care hospitals, outpatient clinical settings and the home care setting. Kerry is the proud owner of Harrow Physiotherapy Centre 2003 and Milestone Physiotherapy Amherstburg 2014. 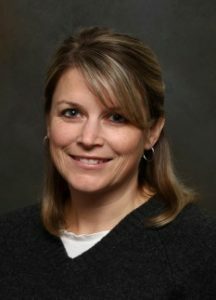 Kerry has a strong knowledge base in orthopaedics and neuro-rehabilitation. She developed her skills with direct patient care in Australia, U.S.A, and Canada. In addition to her extensive rehabilitation skills, she is also a Certified Nordic Pole Walking instructor. Stephanie joined our staff in November 2004 and works full time at the Harrow Physiotherapy Centre. 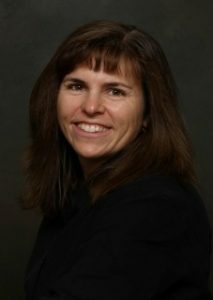 She graduated from the University of Windsor in 1991 with a Bachelor of Science Degree in Biology and a Bachelor of Science Degree in Physical Therapy at the University of Western Ontario in 1994.She became a credentialed McKenzie therapist in 2000 in treatment of mechanical neck and back injuries. She has post-graduate continuing education in manual therapy (Mulligan, Peripheral Manipulation), sports (Fit to Play, Bike Fitting, running injuries & assessment: as well as myofascial release, introductory acupuncture, and breast cancer treatment. 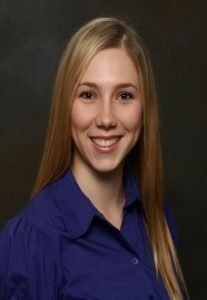 Stephanie is passionate about providing quality hands-on, individualized care for each patient utilizing manual therapy and exercise-based approach. Personally, she stays active cycling, running, kayaking, adventure racing and playing volleyball. Shannon joined our team in 2008 as the Office Administration Assistant and in March 2017, she was promoted to Office Manager. She has significant knowledge and experience with physiotherapy and massage therapy services, as well as administrative requirements regarding the WSIB system, MVA related claims and extended health care insurance. 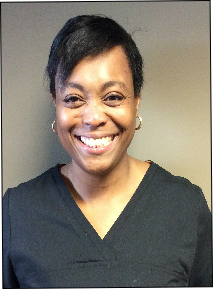 She is a positive and energetic person that strives to involve people with an exceptional clinic experience. While managing the daily operations of two very busy clinics, she maintains an efficient workflow and uses her organizational & time management skills to help make the workplace run as efficiently as possible. When she is not working she is very active and believes in a balance between work and a healthy lifestyle. Rae joined us in September 2013, bringing a wealth of knowledge and experience to the clinic. 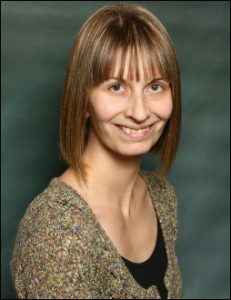 She is a Registered Massage Therapist (Lambton College 2011), a member of the College of Massage Therapists of Ontario and obtained a Bachelors of Human Kinetics degree from the University of Windsor (2008). As part of her professional development, she continues to attend courses and workshops to better serve the needs of her clients. She has always been passionate about healing and wellness, so choosing a career in massage therapy was natural for her. For Rae, massage therapy is not just a job, it’s her passion. She dedicates herself to her clients by providing a comfortable, safe and relaxed environment using therapeutic touch to promote healing, overall wellness and helps improve their quality of life. She believes that massage has something to offer everyone whether it is for the treatment of injury, preventative care or pure indulgence of relaxation. Clients find her personality to be genuinely kind, and her work to be confident, thorough and effective. In addition to providing massage therapy in the Amherstburg office, she is also responsible for the “Relaxation Delivered” service offered to local businesses and retirement/homes for seniors and others that are not able to attend the office. Delivering on-site massage services and corporate/employee wellness programs, Convenience and Professionalism at your door. Lori joined our staff in the capacity of office assistant in July 2014, working full time at our Amherstburg office. Patients will usually see Lori’s happy face as soon as walking through our doors. As the front office assistant, Lori can usually be found greeting and welcoming patients, scheduling and confirming appointments, and working with other team members as needed to ensure our patients leave with a smile on their faces. She is no stranger to the medical field of rehabilitation. She is a college graduate twice over, achieving a diploma as a Physiotherapy Assistant and a diploma as a Registered Nursing Assistant from St. Clair College. She has a wide range of experience with patient services and office administration. 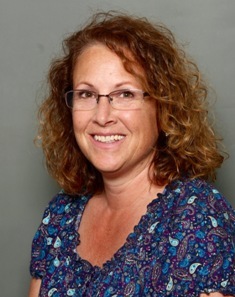 With over 8 years of experience working diligently in the outpatient clinic setting, Lori understands the importance of maintaining a professional environment and she strives to be sure this is achieved at Milestone Physiotherapy Amherstburg. She is passionate about her work and it is her priority to make our patient’s experience at our office as comfortable as possible. She understands that all our patients live a busy life and for that reason she makes her best attempt to be as accommodating as possible when scheduling appointments. Lori is experienced dealing with the WSIB/MVA system and many of the extended health care insurance companies. Please contact Lori with any questions and she will be more than delighted to assist you. Beth Anne initially started working at our Harrow office and has recently transitioned to full time at our Amherstburg office providing physiotherapy services. She graduated from the University of Windsor with a Bachelor of Human Kinetics and continued on to obtain a Doctorate of Physical Therapy at Wayne State University. Her education didn’t stop there; she continued onto complete the Mulligan Concept – Lower Quadrant course and McKenzie lumbar spine course, and has additional training in muscle energy techniques. Prior to joining our team and relocating to the area, Beth Anne was working at a clinic in a quaint rural community similar to Harrow. Her education, training and experience in both the US & Canada, has provided her a diverse set of skills to better treat her clients. During her career as a physiotherapist, some of her experiences include working as the sole primary therapist at an outpatient rehab clinic in London, where she provided one-on-one client focused treatment and all of the administration tasks. As well, she worked at a long-term care/retirement facility, where she provided weekly medical rounds, participated in round table meetings, and worked with PT students from Western University completing research, and providing in-services to residents. In addition to providing physiotherapy treatment, Beth Anne’s services also include providing custom orthotics. Although she enjoys working with all types of orthopaedic conditions, as a mother to a young child, she has a particular interest in working with paediatric patients. She is thrilled to be working in Amherstburg and looks forward to meeting all of the wonderful people in this wonderful community. Marcia works Tuesday and Thursday in our Harrow office and occasional Fridays in our Amherstburg office. Having achieved her diploma as a Registered Massage Therapist over 16 years ago, she has utilized and strengthened her massage therapy skills working with other medical professionals on rehabilitation teams. She has several years of health related teaching experience working as an Assistant Professor, Department of Human Kinetics at the University of Windsor, where she also managed the Co-operative Education program. As well, a Sessional Instructor/Faculty of Health Sciences, University of Western Ontario, where she was awarded the USC Teaching Award of Excellence (Kinesiology) and USC Teaching Award of Excellence (Health Sciences). 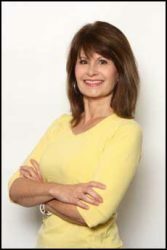 Marcia is dedicated to helping clients achieve optimum health and enjoys working with clients who strive to improve their physical function and enhance their quality of life. She is always up for any challenge that a client may present and believes firmly in the therapeutic benefits that massage therapy has to offer. We are happy to welcome Aaron, the most recent addition to our rehabilitation team. Aaron has graduated from Graceland University in 2003 with a Bachelor of Science with a Double Major in Chemistry and Biology. In 2008 he obtained a Doctor of Philosophy in Biochemistry at University of Windsor and went on to pursue a Master of Science Degree in Physiotherapy at McMaster University 2016. During his studies, he was the proud recipient of various honours and awards. Aaron is no stranger to rehabilitation; he has hands on experience with patients that have suffered neurological conditions including strokes, brain tumors, and traumatic brain injuries, as well as many orthopaedic conditions such as shoulder, low back and various other acute and chronic injuries. In addition to the above, his work experience is impressive, including multiple post-doctoral fellowship programs and Research Assistant positions, working as a Technical Officer at the National Research Council, Institute for Marine Biosciences, Halifax, MCAT Instructor, Princeton Review and Graduate Teaching Assistant at University of Windsor. He has contributed to numerous published journal articles and presentations. Aaron loves learning and is continuously seeking new challenges and opportunities for growth. He is an advocate of the health promotion principle that people should be empowered with the knowledge and tools needed to take control over their own health. He is looking forward to working in the small town atmosphere at our office and the ability to provide one-on-one care while getting to know his patients throughout their treatment. 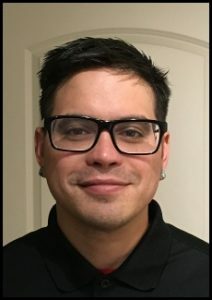 Aaron is passionate about helping clients of all ages on their road to recovery, and is honoured in providing rehabilitation services in the town that he currently calls home. Beth is the newest member to join our team, bringing many years of office and customer service experience. A Harrow native, and former local business owner, she understands the value of excellent customer service. Beth greets our clients with a warm smile. She is friendly, outgoing, and she performs a large array of duties that help to keep the front desk running smoothly. She is a welcome addition to the Harrow team.